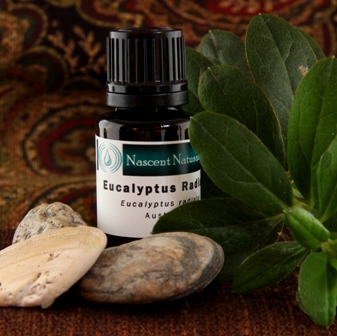 Eucalyptus Radiata – Nascent Naturals Inc.
Not for internal use. Do not use on the skin full strength. Always dilute in appropriate carriers before use. Avoid use with high blood pressure. 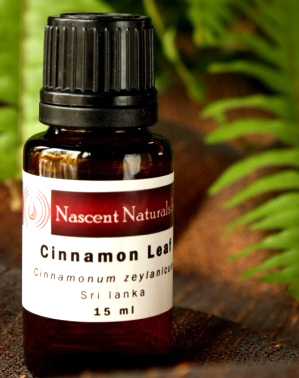 Use sparingly with asthma and other severe respiratory conditions and avoid deep direct inhalations. If pregnant or suffering from serious medical conditions, consult a qualified health professional, experienced in the use of essential oils. One of the other widely known and used eucalyptus species which produces an essential oil and one of the only ones still originating from Australia. 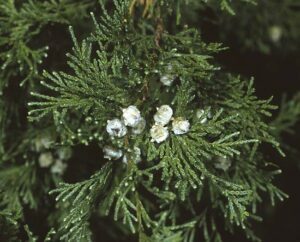 Chemically, it shares significant quantities of 1,8 cineol with globulus, which gives it that familiar aroma, but the levels are slightly lower. Add to this the presence of aldehydes and alcohols which makes it a safer and gentler alternative to the more aggressive globulus species. It has more of a balsamic effect particularly with children, and others with severe respiratory conditions or in fragile states of illness. Also known as black, or narrow leaf peppermint Eucalyptus is one of the most widely known and used oils by herbalists, home remedy DIY and pharmaceutical OTC as a powerful remedy to combat colds, and clear the respiratory system. Dr. Jean Valnet states that a 2-3 % solution sprayed in the air will kill 70 % of airborne germs. The derivative 1,8 cineol ( eucalyptol) was one of the first naturally occurring chemicals to be isolated and synthesized for commercial use. Essential oils are not meant to be a replacement for traditional medical treatment of diseases and conditions. When in doubt, please consult a physician.